"A lot of you are hearing the news, and I want you to hear it directly from us." 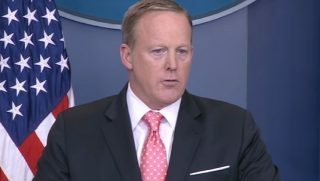 And so last Friday, Press Secretary Sean Spicer submitted his resignation in light of his disagreeing with President Trump's new communications director pick...and immediately the liberal media jumped on this as their self-perceived example of a Trump White House collapsing in on itself for Sean Spicer had only served as press secretary for six months. And with the media now inserting themselves into the fray came their twisting of the facts surrounding Spicer's resignation which led directly into their time-tested and skillfully honed 'divert and deflect' scenario for while Susan Rice was testifying behind closed doors about all things Obama and Clinton...the real news story that needed reporting on...the media instead focused on what should have been a routine administrative change of command... a specific change of command done by past presidents and done so with little fanfare...that is until Donald Trump became president...until Donald Trump became the subject of a political witch hunt the likes of which is truly one for the history books. So here's just one past example of this same scenario taking place...minus the media's trying to determine and fix the outcome. Remember back to May 1993 when then-president Bill Clinton...who like President Trump saw his administration off to a somewhat rocky start and who also was plagued by some 'supposed' missteps from his press people...replaced his then de-facto press secretary Communications Director George Stephanopolous...the very man who handled the daily press briefings... with longtime D.C. insider and former Reagan adviser David Gergen. This then forced Stephanopolous into a less visible role as a policy advisor, but was there a media free-for-all that the person charged with framing policy for public consumption was being upended so early on in the Clinton presidency...simply...no there was not. In fact, many media hounds heralded this change as a way to help turn the Clinton administration back to the middle of the road...the road of bi-partisanship that Clinton ran on...while ignoring the fact that this change came on the heels of the abruptly unexpected dismissal of the Clinton travel office staff coupled with his razor-thin budget victory in the House of Representatives. For the media, what's apparently good for the proverbial Democratic goose seems never to be good for the proverbial Republican gander. So as Sean Spicer steps down as press secretary, no matter that President Trump asked him to stay on but to answer to his new appointee directly, he did so in a most gracious, humble, and sincere manner, because he believed that any new hiring would add to the “confusion and uncertainty already engulfing the White House,” if he stayed on, and that for the good of the country and Trump's agenda a clean slate was needed. 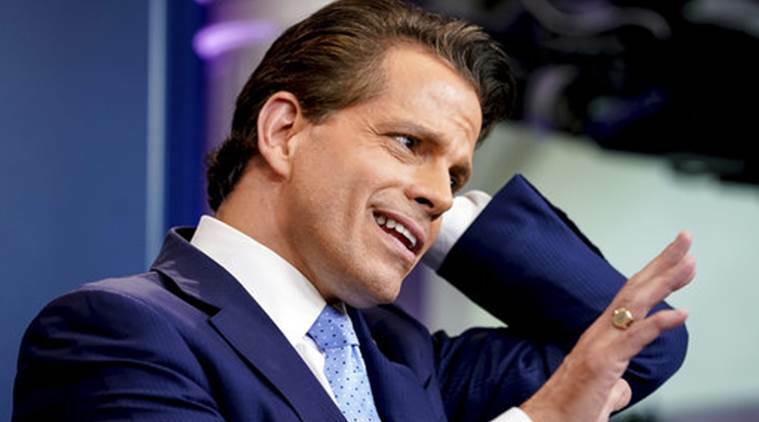 But what of the man who now steps into the role of communications director...that man's name is Anthony Scaramucci...a savvy businessman but a man fairly new to the game of politics... and while he's a good man in the sense that good men are...I believe he is the wrong man for this important position. Let me explain, but first let me say that while I supported Marco Rubio during the primary season, once Donald Trump secured the nomination I supported him as I promised I would do, and I campaigned for him and supported his agenda one hundred percent even though I never surrendered my core beliefs, and even though I do question a few of his cabinet and administration picks...picks which have me wondering exactly who advises our duly-elected president as to whom would be the best fit for each position that needs to be filled. And while these 'red flags' are not the 'red flags' of let's say a Hillary Clinton, they are 'red flags' nevertheless. Having more to do with past liberal-held beliefs than with his supposed now love fest for President Trump...which I myself witnessed when Scaramucci was introduced at last Friday's press conference where in a matter of minutes he repeated the words “I love President Trump” almost as many times as Obama used to say 'me, me, me and I, I, I'...that in and of itself has me worrying because when someone does such a 180 degree turn in their long-held beliefs in such a relatively short period of time a motive usually lurks somewhere in the background. And here are some of Scaramucci's tweets that have me more than a bit worried...worried in the same way that I worry about General H.R. McMaster. First 'red flag'...playing both sides of the political aisle while claiming practicality...for personal gain perhaps...as in cover all bases. 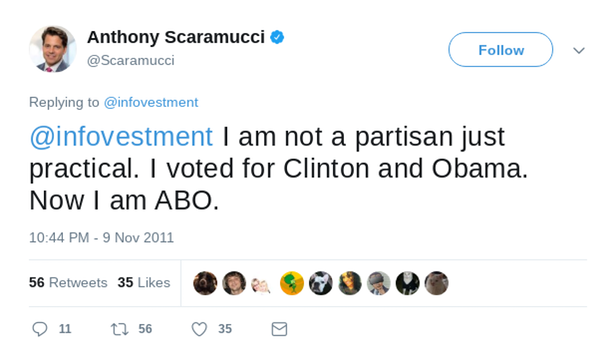 “I am not a partisan just practical,” were Scarmucci's words in 2011 when he, a registered Republican at the time, admitted “I voted for Clinton and Obama.” And while it is true that most of Scaramucci's past monetary campaign donations did go to Republican candidates, he also gave many thousands of dollars to the campaigns of prominent and ever-so-vile Democrats, including Hillary Clinton's New York Senate re-election campaign; Harry Reid's re-election campaign; and to Barack HUSSEIN Obama himself when he first ran for president in 2008. And his most recent Democratic donation came just two years ago when in 2015 Scaramucci contributed thousands of dollars to the campaign of New York Rep. Kathleen Rice. Second 'red flag'...even more disturbing to me than mere campaign donations is that Anthony Scaramucci tweeted and then stated on live TV for all to see and hear what are basically liberal talking points...talking points that are counter to conservative core values... and only are now being taken down and words retracted as they have come back to haunt. Claiming he's deleting old tweets for "full transparency" and that his past views should not be a "distraction" because those views have “evolved,” I say people might change one or two of their past views but all...I think not. And if one really wanted to be transparent why hide...why delete...what was once said. Shades of Hillary and the deleted emails I think. And one of the most serious breeches, I believe, is what Anthony Scaramucci tweeted out in 2012 in regards to our all-important Second Amendment rights to "keep and bear arms." 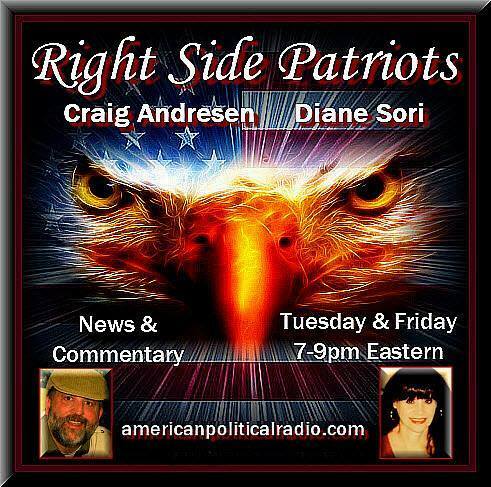 Tweeting, “We (the USA) has 5% of the world's population but 50% of the world's guns...Enough is enough. It is just common sense it apply more controls,” had Scaramucci actually trying to make the Democrats case for more gun control...something no true red, white, and blue conservative or Republican would ever do or say. Also in 2012, Scarmucci tweeted about Hillary Clinton, “I hope she runs, she is incredibly competent.” What makes this tweet ever so grievous is that this was tweeted just as the Benghazi investigation was fully underway...as the truth about “crooked” Hillary Clinton and her YouTube video defense was starting to unravel. And while Scaramucci's tweeting slowed down somewhat at this point, by 2015 he was tweeting again, this time tweeting, “Walls don't work. Never have never will. The Berlin Wall 1961-1989 don't fall for it.” And while I do personally agree somewhat with his stance, I always add to it the words, 'however they do slowdown the influx to some degree'...words Scaramucci never added. 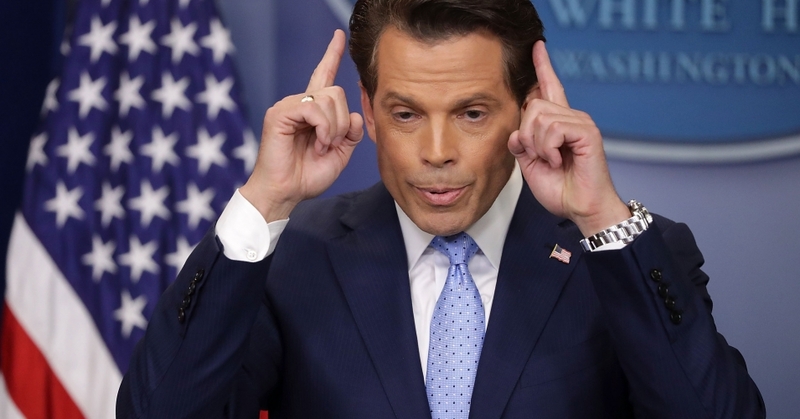 And building the wall along our southern border was a key Trump campaign promise that helped get him elected, and now with his becoming communications director Scaramucci's words have become, “Trump is on a 'missile lock' to keep his promise to get that wall built...I assure you it's going to get done.” Nice words said but the fact remains we don't know if Scaramucci's personal stance on the wall has "evolved," and if it hasn't how will that affect what will be his job to promote. And let's be honest here, words once said can never really be taken back no matter new words spoken.“I should have never said that about him...So, Mr. President, if you’re listening, I personally apologize for the 50th time for saying that. But here’s the wonderful thing about the news media: That was three minutes of my life. He’s never forgotten it, you’ve never forgotten it, but I hope that someday, Mr. President, you’ll forget it.” Something tells me that while Donald Trump seems to have 'stored away' those words he is the kind of man who never truly forgets words attacking his person or his character. And lastly, dare we forget that recently President Trump rightfully pulled us out of the farce known as the Paris Climate Change Accord...you know what Trump himself called “nonsense”...nonsense concerning what is nothing but the 'weather.' Now here is what Anthony Scaramucci said just last year about climate change, “You can take steps to combat climate change without crippling the economy... 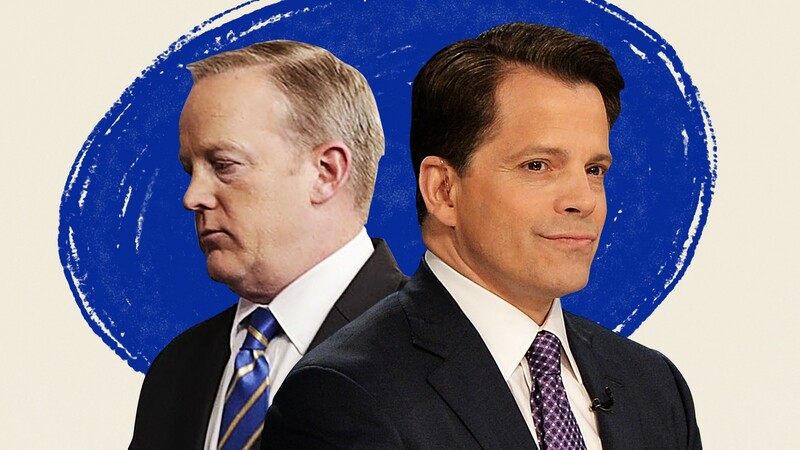 The fact many people still believe CC is a hoax is disheartening.” Seems to contradict a core view of the very man and agenda Scaramucci claims he is “loyal” to...for how can you be loyal to a man and his agenda when you flip-flop your views for political gain alone. So knowing all this the question remains is Anthony Scaramucch just another political wannabe now attaching himself to the president's coat tails for his own personal gain or is he really the right man for the job? 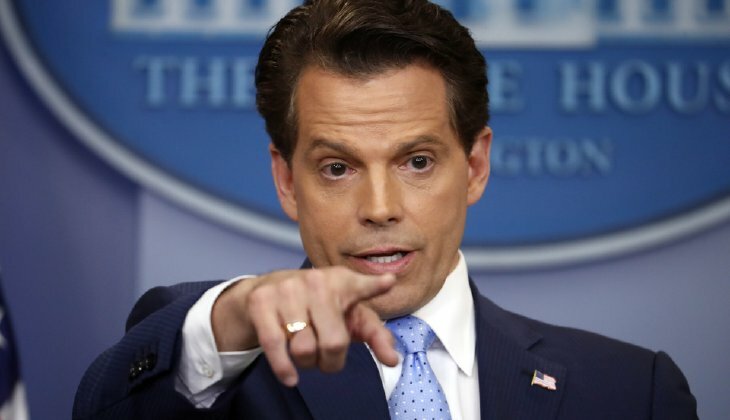 While President Trump has stated that he has “great respect” for Anthony Scaramucci and that he will be “an important addition to the administration,” the truth is that Anthony Scaramucci really has no qualifications as a communications professional let alone one to head Trump's press team. Originally tapped by Trump to serve in the White House Office of Public Liaison where Trump wanted him to be his “liaison” to the business community...which would have been a better fit...Trump heeded the words of Chief of Staff Reince Priebus against this appointment. So now we find him in the role of White House Communications Director. And those words spoken show a level of both strength and confidence that to some seemed lacking in Sean Spicer...words that seemed even 'Trump-like'...a good thing for someone who will answer directly to the president. 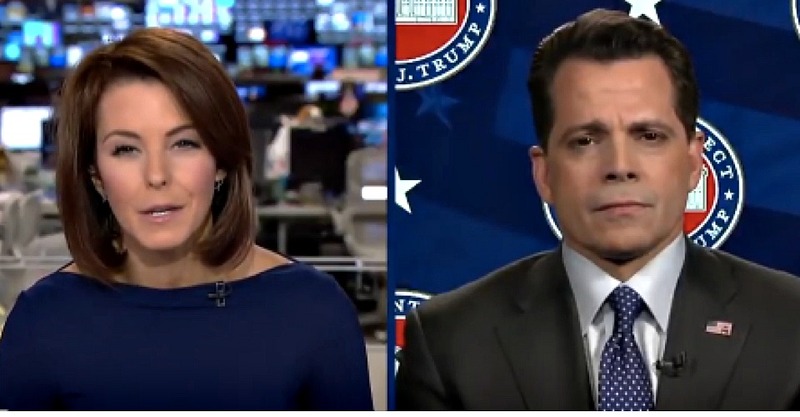 And Scaramucci appears to be quick on his feet with words...a 'spin-meister' if you will who also acts as the president's PR person of sorts...something needed when defending a president whose words and actions sometimes are misinterpreted...many times deliberately so by the left. And as a former businessman and hedge fund manager, Scaramucci understands the complexities of much needed tax reform, the workings of business investment capital, and general economics...all things that will serve the Trump administration and 'We the People' well. 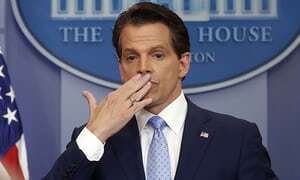 And as a former Fox TV business host, Scaramucci also becomes Trump's key political operative in translating complicated reforms in such a way as to be both meaningful and easily understood by a general population unfamiliar with the complexities and intricacies involved in successfully implementing government reforms. And please know that while I truly do wish Anthony Scaramucci well for he, like I previously said, is a good man, the 'red flags' still have me concerned for they are of the same sort that first caught my attention when President Trump appointed islamic-condoning General H.R. McMaster as National Secretary Advisor...a man who some say Trump now tunes out during his daily national security briefings..'red flags' as in whose side is McMaster really on. In McMaster's case I believe he is the prime leaker and administration traitor Trump has been on a search for...in Scaramucci's case I just hope he is not a Democrat in disguise. 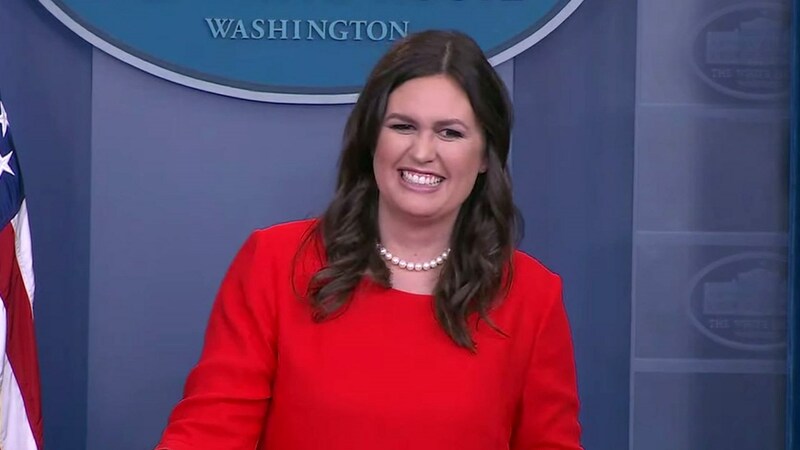 So as President Trump changes his communications team's key players and strategy...and here I must applaud Sarah Huckabee Sanders appointment as press secretary...know they have a tough job ahead of them as they go about trying to negate the pile of utter nonsense the Democrats have leveled against this president and his administration. And as President Trump continues to surround himself with generals and successful business people...only time will tell if Anthony Scaramucci is indeed the right pick to head the team charged with undoing the damage not of this president's doing. Today, Tuesday, July 25th from 7 to 9pm EST on American Political Radio, RIGHT SIDE PATRIOTS Craig Andresen and Diane Sori will discuss their two takes on the Scaramuccci appointment and important news of the day.